I’m not sure if anyone else even noticed. Maybe it’s because I regularly work on all four floors of my building. Maybe it’s because I’m just super picky. But, once seeing it, I cannot unsee it. And now I see it everywhere. First, let me take you back nearly 25 years to my first real job. I was working for WordPerfect in their Orem offices. The building is made of brick and tinted glass. After a few weeks in our new building I started to notice an annoying sound. Not often and not at any regular intervals. It was driving me nuts.No one else could hear it, it seemed like. I’d sit with a coworker, ears turned toward the ceiling. THERE! Did you hear that one? Wait, I did hear something. And once hearing it, they could no longer unhear it. Eventually we figured it out. Utah gets hot in the summers. This week we are flirting with triple digits (100+ degrees.) Fortunately, the humidity is less than 15%. But, that hot Utah sun heats up buildings. As a building heats up, the bricks expand ever so slightly. As they expanded, they would move, ever so slightly. As they moved, they popped. My current building doesn’t pop. But, like those long ago pops, once I noticed it, I couldn’t unnoticed it. The restrooms have automatic paper towel dispensers. They look like this. You wave your hand crazily under them and eventually paper towels emerge. On floors one through three, where a few engineers and a whole lot of agents sits, this is how much the paper towel dispenser kicks out when you wave your hand. Anyone who’s ever used these, knows that you take that first paper towel. Wave your hand a second time and wait for it to give you a second helping. I don’t work on the first three floors. I work on the fourth floor. 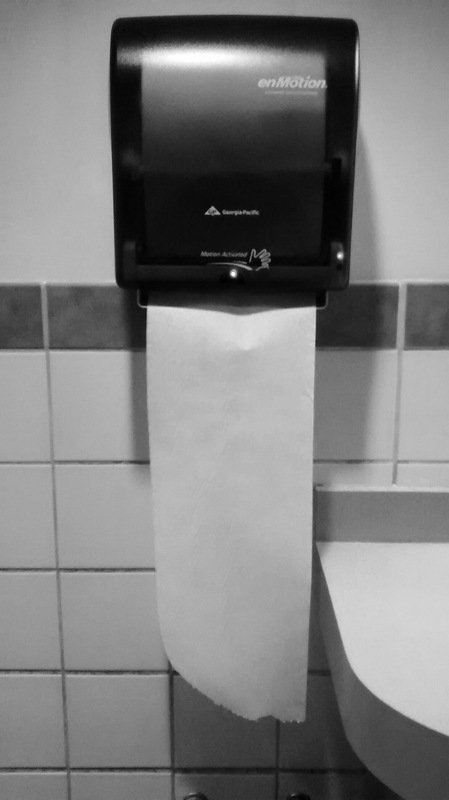 On the fourth floor, where the account managers, project managers and no agents sit, the paper towel dispenses this much with a single wave of your hand. Until I noticed this, I didn’t realize that you can set the machines to change how much they kick out. 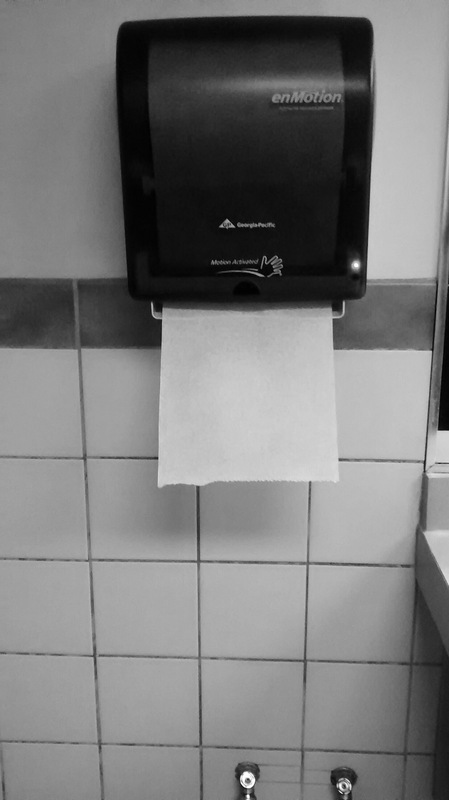 On the fourth floor, I don’t have to wait that annoying 20 seconds to get that second paper towel. I have absolutely no idea if the machines a re set this way on purpose. I have no idea if our janitorial staff favors the account managers and short changes the agents. But, like I said, now that I’ve noticed it, I cannot unnotice it. 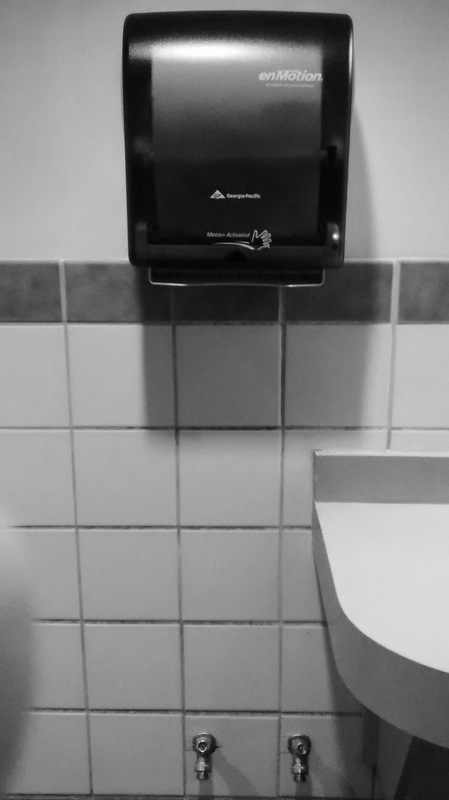 Movie theaters, doctors offices, public restrooms; I keep looking at how much paper towel the machine kicks out and using that to judge how important the janitors feel I am.